It is learnt that Pawan Kalyan has had an eye infection for a long time now and the actor recently consulted doctors at a popular eye institute in Hyderabad regarding this. Actor-turned-politician Pawan Kalyan is busy these days with his political journey and has been touring Andhra Pradesh. The actor has been, lately, spotted wearing sunglasses reason being he has been suffering with an eye infection for a long time now. Pawan Kalyan recently also attended many film events like audio launches and pre-release events with the glasses on creating a lot of questions in fans’ minds. 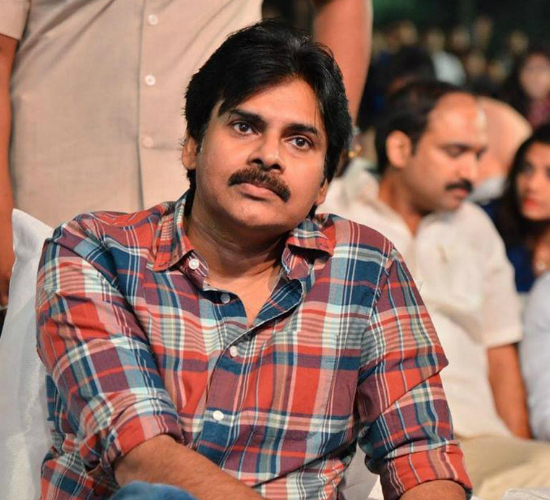 However, Pawan Kalyan had explained in one of the events why he has been wearing the sun glasses. It is learnt that Pawan Kalyan has had an eye infection for a long time now and the actor recently consulted doctors at a popular eye institute in Hyderabad regarding this. Reportedly, doctors told Pawan Kalyan that the infection may require a surgery however it can wait for a little longer. And based on the suggestion by the doctors, Pawan Kalyan has decided to continue with his political tour in the Telugu states. Pawan Kalyan will be on his political tour till the end of this month before returning to Hyderabad. Pawan Kalyan had quit films after deciding to take the political plunge in 2017. Pawan Kalyan was last seen in Agnyathavaasi which was directed by Trivikram Srinivas. Agnyathavaasi failed to impress the audience and eventually turned out to be a dud at the box office. There were reports doing rounds that Pawan Kalyan may act in one more film before calling it quits on his film career. However, the actor hasn’t responded yet regarding these matters. It is being speculated that Pawan Kalyan may contest in the upcoming 2019 elections and his party, Jana Sena, will contest from all seats in Andhra Pradesh. Pawan Kalyan has been vocal lately about the political situation in Andhra Pradesh and has been lashing out at the Central Government regarding the Special Status promised to Andhra Pradesh during the bifurcation of the states.